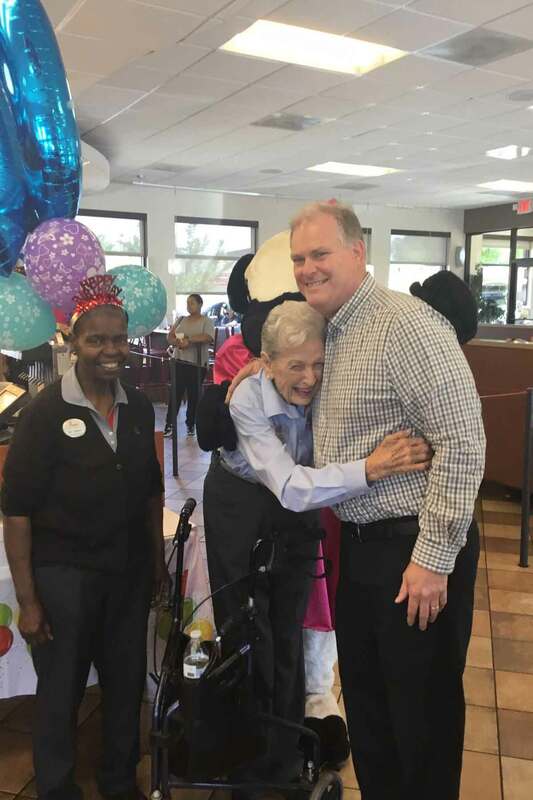 May 25th started out like any other Friday for Chick-fil-A Team Member Jean Barrow. The local franchise Operator Sean McClure picked her up, just as he always does, before her shift. Jean has served as a hostess for nearly two decades and on every shift, she walks around the restaurant’s dining room for three hours, starting conversations by sharing a simple joke or a kind word. 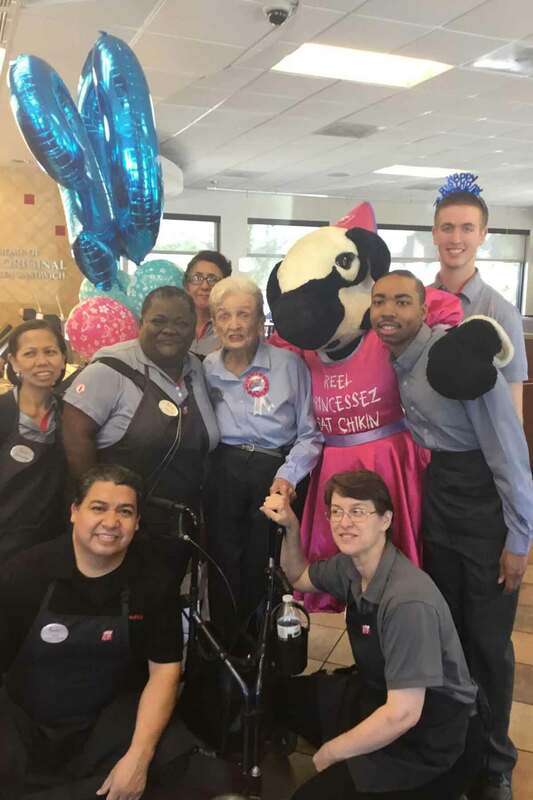 Aside from bringing joy to customers for almost 20 years, there’s something else about Barrow that’s special: At 90 years old, she’s one of Chick-fil-A’s oldest Team Members. And while she has a lifetime full of wonderful memories, there was one thing she had never experienced: A surprise party. When McClure heard this during one of their drives to the restaurant, he knew exactly how to celebrate her 90th. “We needed to do something to commemorate this occasion,” McClure said. It wasn’t until Jean entered the restaurant on May 25th that she realized this day at Chick-fil-A was going to be a day unlike any other. Fellow coworkers and favorite guests were all there, decked in party hats, to celebrate her. Two balloons, “9” and “0”, floated over the cheering crowd. McClure’s wife, Robin, baked a cake for everyone to enjoy. Even a few of the Chick-fil-A Cows dropped by to join in on the fun! For the rest of her shift, guests came up to Barrow, each sharing a special birthday message with their favorite hostess.